In my younger days, I would match my shoelaces to my hair color (I still do, but with more discretion). In my days of blue hair, I began playing in a new band, and for the first time, I was experiencing a scene larger than the immediate suburbs. At a practice early into this group's life, our guitarist looked me from shoes to face, and casually remarked "you must really hate cops." I was confused. You could say that I've never been on the law enforcement side of an argument, but at the same time, I wasn't sure that could be construed as "really hating" anything, or from where he was gleaning this information. He explained that he could tell by my shoelaces, and I was even more confused. 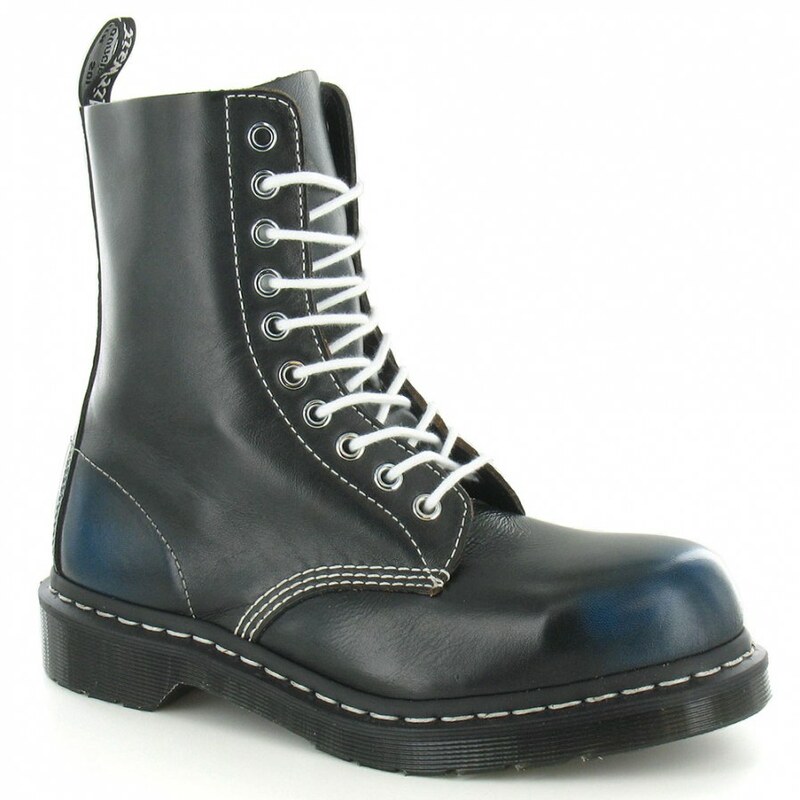 I thought he was making something up, or that this was some failing attempt at a joke, but it turns out that what he was telling me held weight: in the punk scene (and more specifically, the skinhead scene) Dr. Marten's boots worn with colored shoelaces have various meanings. Keep in mind that these vary from region to region, but I feel like it's important to note the most common ones, if only for the sake of avoiding conflict, knowing who is to be avoided, and understanding that our music scene isn't free of hate. Not yet. And we should be working to shut out that hate to the best of our ability. As far fetched as this all may seem, I promise you that this article is very much accurate, or as accurate as it can be without actually sitting down with a "true believer." Racism is alive and well in America, as unfortunate as it may be. While it may not be as active in the music community as it used to be (at least locally), skinheads still exist, and have a whole background that many aren't familiar with. 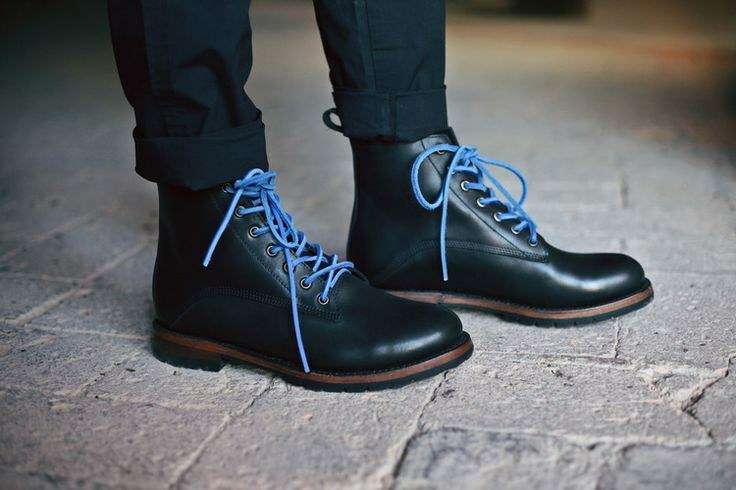 Keep your eyes on people's boots. It just might save your life. This is often used to represent Ku Klux Klan affiliation, as well. Often times the two go hand in hand. Fun anecdote about the difference between KKK members and Neo-Nazis: the KKK refuses to associate with the beliefs of Hitler, because he was foreign, and they hate foreigners. That's right folks, the Ku Klux Klan's hate is American made, and accepts no substitutions. The scariest thing to me is that these shoelaces indicate not just murder of a police officer, but the fact that they're openly bragging about it, and that it's so prevalent that there's a code for it. Could also mean always up for a fight, or that they've killed someone. These are apparently the meanest SOB's you'll come across, and it's advised that you don't associate with them. 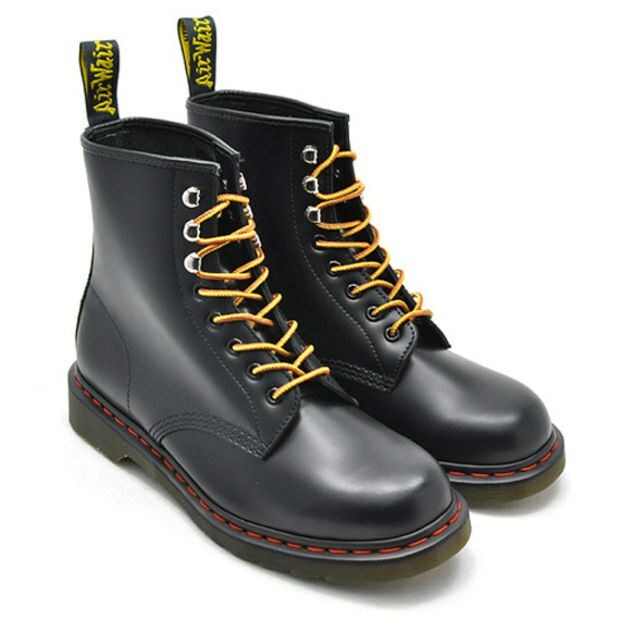 Thankfully, since Docs often come with yellow laces, they haven't been given an assigned meaning. The anti-nazi punk movement claimed a few lace colors, and this is one of them. An interesting one. 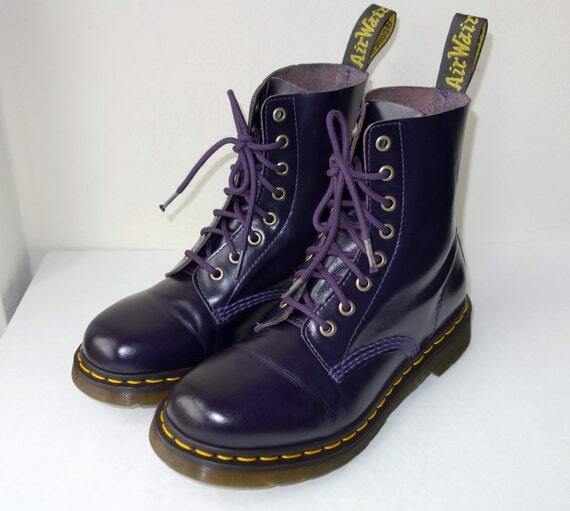 Purple laces are anti-skinhead, but also often mean gay pride. This has nothing to do with the others, but I think it's worth noting. 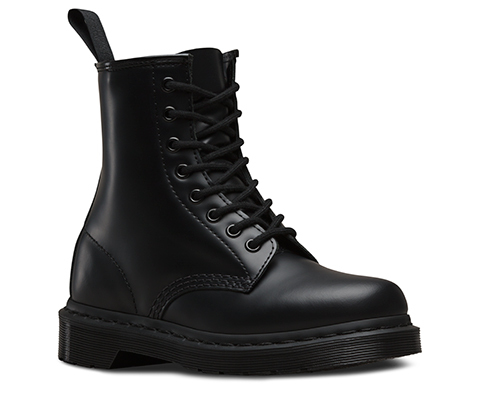 Another good thing to know is that black laces (another standard Doc lace) don't have a meaning either. Hopefully this code gets put to some good use. I know that some may start calling out people based on their shoelace color, and I recommend not to. 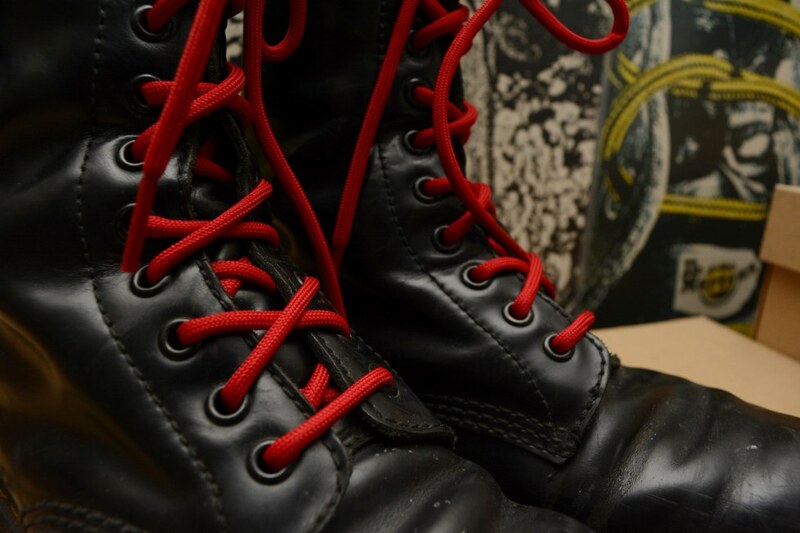 Not everyone who wears these laces knows about these rules -- and even if they do, even if you think you could take the person in a fight, know that doing anything violent will only make these people believe more in their case. This is meant as a warning, and not as an advocation for any more violence. Hate only creates more hate, after all.